The Chicago suburb of Oak Brook is located just 20 miles west of the city on the eastern edge of DuPage County. With a population of about 8,000 residents, the village is conveniently located near several major highways, including I-294, I-355 and I-88. Oak Brook’s location makes it a popular suburb for both commuters, families and corporations. Oak Brook serves as the headquarters for several Fortune 500 companies, including McDonald’s, Ace Hardware, and Newell Rubermaid. With a variety of dining, and entertainment options, including Drury Lane theater and dozens of popular restaurants, Oak Brook offers something for just about everyone. Oak Brook is also a popular shopping destination for the western suburbs. Oakbrook Center Mall is home to hundreds of popular national brands, including Nordstrom’s, Barnes and Noble and Apple. As a highly rated Oak Brook contractor, Carmody Construction has completed a numerous home improvement projects in Oak Brook and the surrounding areas of DuPage and Cook counties since our founding in 1948. As a locally owned and operated family business, we take pride in providing the very best in craftmanship and customer service. We also use the highest quality products from all the top manufactures, including Marvin Windows and Doors, IKO Roofing and LP SmartSide. Whether your Oak Brook home remodeling project is windows, siding, roofing or an interior remodel, Carmody will always strive to complete it on time and on budget. 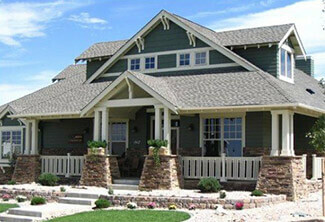 The Carmody team are also experts home repairs submitted through insurance claims. We work closely with all the major homeowners insurance companies and are preferred providers with most of them. For quality Oak Brook contractor services, request a free estimate from Carmody Construction today! Live in Oak Brook? Need Windows, Siding, or Roofing Services? Schedule an appointment today!